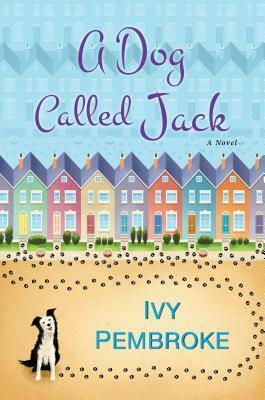 Ivy Pembroke’s A Dog Called Jack was full of delightful surprises. When I requested it on NetGalley, I was looking for a cozy, comforting read. And it was, but I didn’t expect all the depth this book delivered. This novel achieves a wonderful balance between giving readers a relaxing read and giving its characters realistic—often tough—situations to deal with. It’s heartfelt without being trite, sweet without feeling saccharine. And the humor is gentle; you find yourself chuckling momentarily, but it never breaks the flow. Christmas Street’s residents are surprisingly diverse. They are a variety of ages, sexual orientations, ethnicities, and stages in life. I love that this actually mirrors my own little cul-de-sac. I loved watching 8-year-old son Teddy break through the crotchety wall that his elderly neighbor Bill had put up over the years. (Their rapport is very reminiscent of Pollyanna and Mrs. Snow.) Widower Sam is starting fresh, and he is such a nice guy, y’all. He’s even careful to keep his sexism in check. It’s pretty irresistible. There’s a romantic element to his storyline, but no insta-love (thank you, Ivy!). I had a soft spot for gay couple Max and Arthur, who have been trying to adopt a baby while wading through the emotions that come with adoption loss. Anna’s social anxiety and how it affects the kind of mom she wants to be was spot on, very relatable. And I love how, because the neighbors of Christmas Street are so diverse, there’s this realistic but innocent awkwardness when they refer to each other, before they really get to know each other and become more like family. This is such a lovely, happy, feel-good book! There are a couple of moments where you’ll want your happy-tears tissues handy, but honestly, if you need a pick-me-up kind of read with realistic situations and kindhearted characters, you don’t want to miss A Dog Called Jack.